Host Tyler Florence and guest judge Chicago Mayor Rahm Emmanuel have declared the Tikka Tikka Taco pizza to be the winning Food Truck, as seen on Food Network's The Great Food Truck race, Season 4. 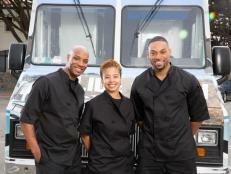 Photo by: Jean-Marc Giboux ©2012,Television Food Network, G.P. All Rights Reserved. Jean-Marc Giboux, 2012,Television Food Network, G.P. All Rights Reserved. 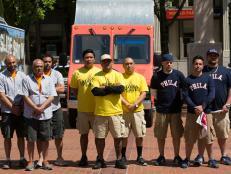 On tonight's episode of The Great Food Truck Race, the three remaining teams were surprised with news that the finale had already begun. 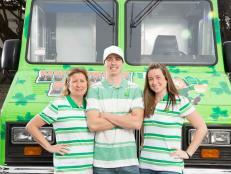 Tyler informed them that in a Food Trucks first, all three teams would be participating in the finale, an 800-mile race through six states. But the teams wouldn't know yet where they would be going. 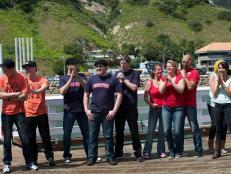 Tyler told them to expect anything: Speed Bumps, Truck Stops and a surprise elimination up ahead. And, of course, there would be more cities in which to sell. The road would be a bumpy one for the teams in Chicago, starting with a taste challenge judged by the city's mayor, Rahm Emanuel. Later there was a sales challenge selling NFL Hall of Famer Mike Ditka's sausages. In the end, Tikka Tikka Taco won both challenges and got a head start to the next city of Annapolis, Md., whereas the other two teams stayed behind to wash dishes, a punishment doled out by Coach Ditka. At this point it could be anybody's game to win or lose. 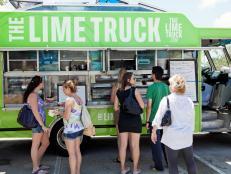 Who will win Season 4 of The Great Food Truck Race? You'll have to watch next week's finale on Sept. 29 at 9pm/8c. But until then, show your support for your favorite team in our Fan Vote, and tell us why you think your favorite team should win in the comments section below. 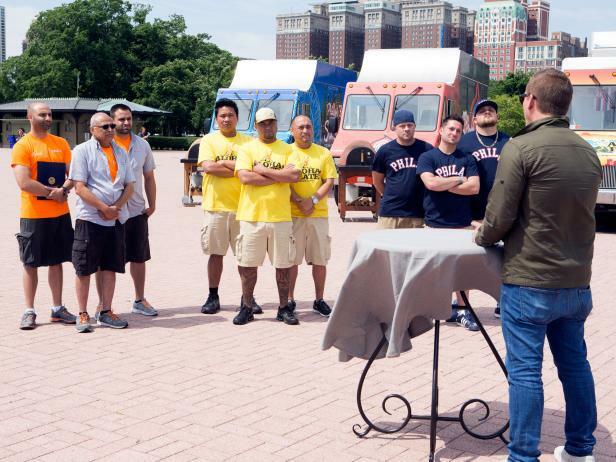 Tyler Florence welcomes the remaining three teams to Chicago where Mayor Rahm Emmanuel will be a guest judge when they create original Chicago-style pizzas, as seen on Food Network's The Great Food Truck Race, Season 4. 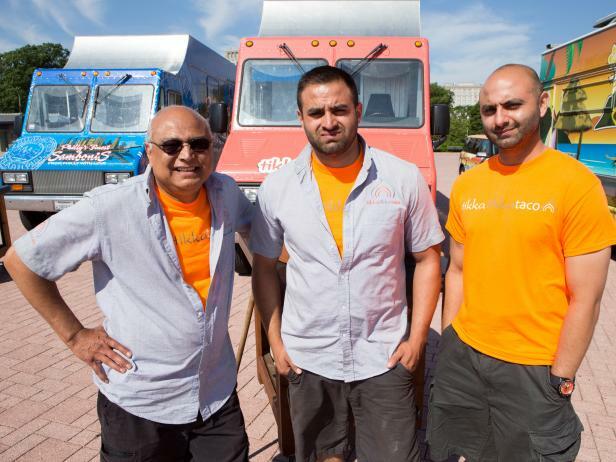 Left to right : Tikka Tikka Taco Food Truck Team Mike Swaleh, Sam Swaleh and Shaun Swaleh. Perpetually in the middle, the guys from St. Louis held steady for six weeks, until Chicago, when they proved they could be contenders for the win. Their fusion Indian food has been a big part of their steadfastness, with dishes like their famous tikka tacos and naanchos, a new signature dish that was thought up on the fly in San Francisco. Will these guys turn their success into a winning streak? Tyler Florence welcomes the remaining three teams to Chicago where Mayor Rahm Emmanuel will be a guest judge when they create original Chicago-style pizzas. Aloha Plate Food Truck team : Shawn Felipe, Adam Tabura and Lanai Tabura with Tyler, as seen on Food Network's The Great Food Truck Race, Season 4. 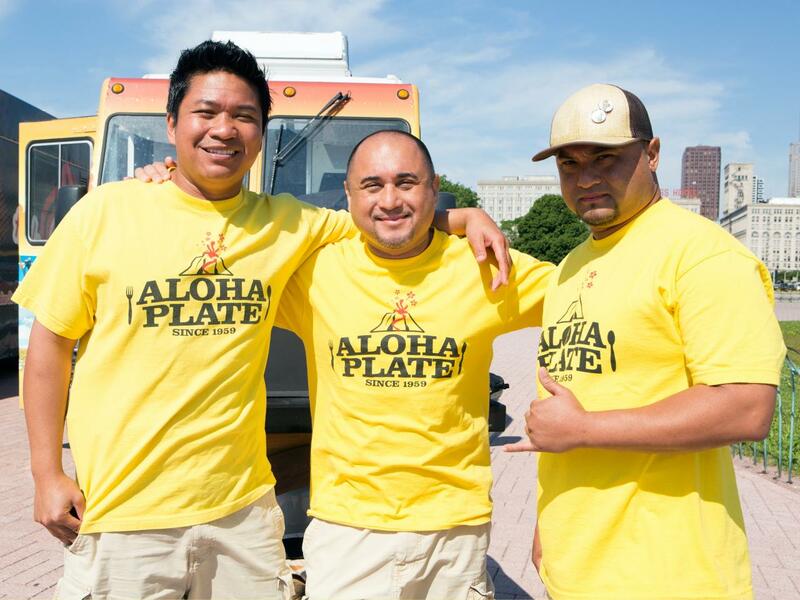 These guys brought the aloha spirit from the islands to the mainland, selling their lettuce wraps, teriyaki burgers and Spam sandwiches, which they added to their menu after Minneapolis. They've steadily become the leaders of the pack, with multiple wins, but Chicago knocked the chips off their shoulders when they came in second to Tikka Tikka Taco. Can these guys rebound to bring home the win for Hawaii? Tyler Florence welcomes the remaining three teams to Chicago where Mayor Rahm Emmanuel will be a guest judge when they create original Chicago-style pizzas, as seen on Food Network's The Great Food Truck Race, Season 4. 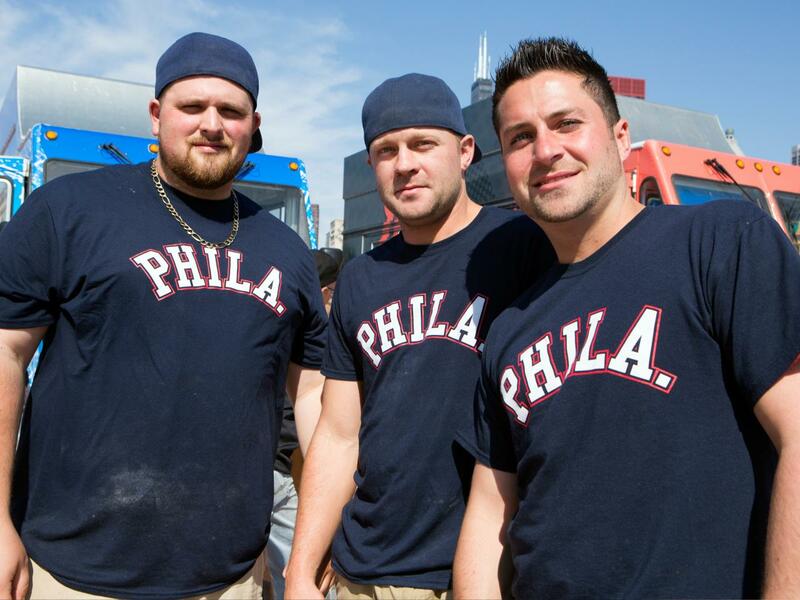 Philly's Finest Sambonis Food Truck team with Chris Turchi, Erik Thompson and Joe Toner. These best friends from Philly have an insatiable love for the cheese steak, and they've gone out of their way in every city to ensure they had authentic ingredients for their dishes. But that dedication cost them precious selling time in Chicago, where they came in last place. They've been in the bottom far too often and have had their fair share of blunders along the road. Will the guys turn things around in the finale? 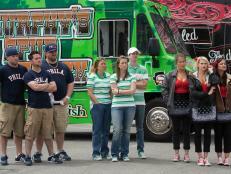 Watch the finale of The Great Food Truck Race on Sunday, Sept 29 at 9pm/8c, and come back to FN Dish for the exclusive interview with the winning team. 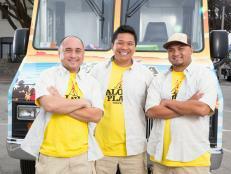 Get the exclusive exit interview with the food truck team eliminated from Season 4, Episode 2.